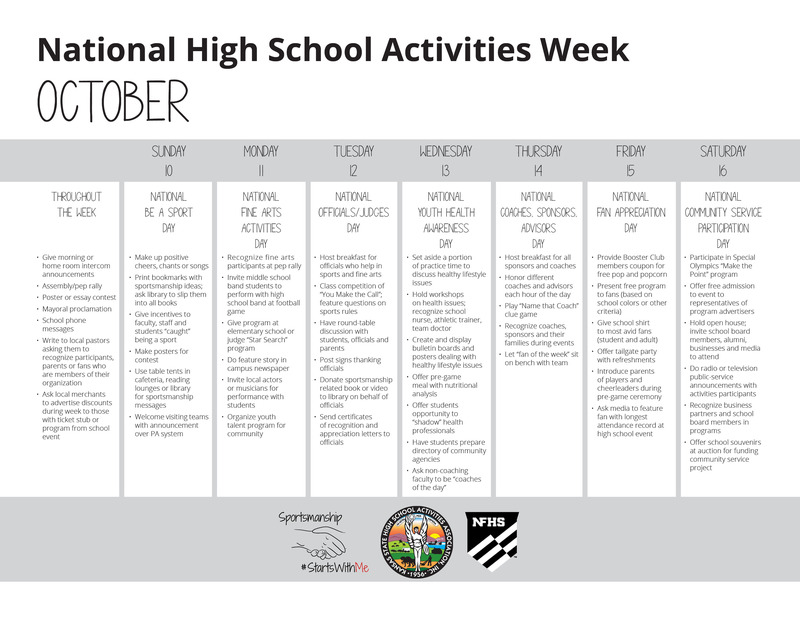 2018 marks the 39th observance of National High School Activities Week. This anniversary presents new opportunities to the KSHSAA and its member schools for promoting this important program. To increase the public’s awareness and appreciation of activity programs, a special emphasis on SPORTSMANSHIP will be continued. The National Federation Sportsmanship, Ethics and Integrity Committee has recommended the week-long celebration of values attendant to interscholastic activities highlight the membership’s number one priority . . . SPORTSMANSHIP!